Design: Mauro Marzollo. 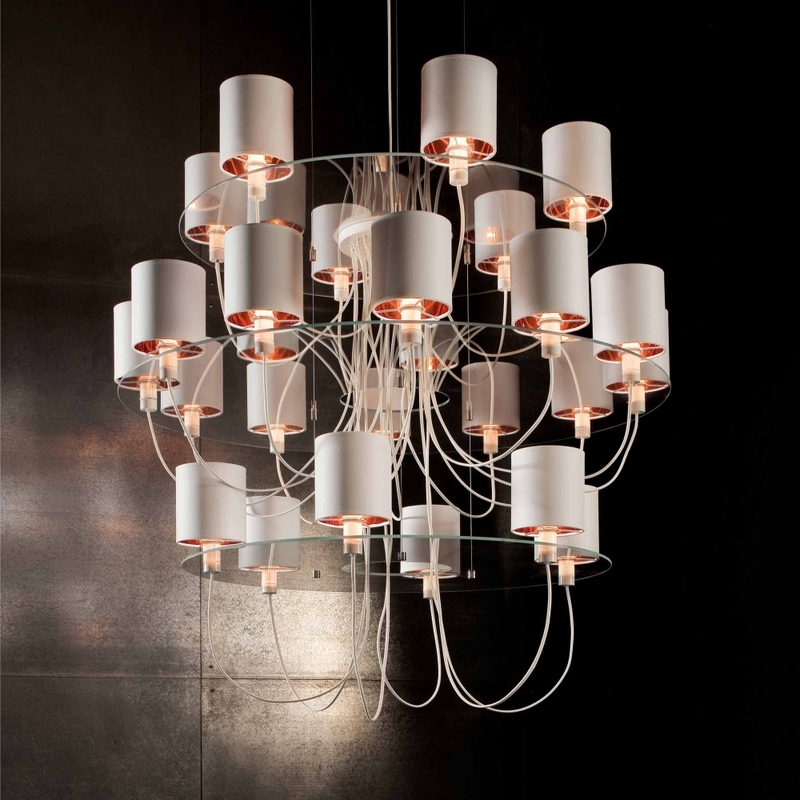 A modular lamp with a plate glass structure. Diffusers in fabric with a variety of finishes. Power cables faced with cotton. Modern style, essential lines and functionality do not require special effects. ml by Light4 is by name and by deed, a combination of cutting-edge glass working techniques and the most in-depth stylistic research in the field of design. The aesthetic appeal of light and its colour properties is conveyed with a focus on functionality. There are no frills or intricate details: only lines, areas of light and continuously new application-oriented solutions.